Plovdiv, Bulgaria - Current News - Plovdiv - the Las Vegas on the Balkans? Plovdiv - the Las Vegas on the Balkans? Plovdiv is currently having three large casinos - in the "Trimontium Princess", "Maritsa" and "Bulgaria" hotels, plus dozens smaller gambling facilities. Trimontium Princess Hotel and Casino welcomes the average of 10 - 15 buses of tourists weekly arriving from Turkey just for gambling, According to experts, charter flights will drastically increase the number of tourists to Plovdiv. 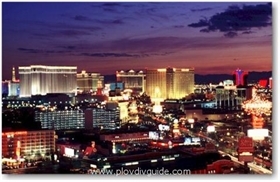 We will live to see the development of the story - maybe Plovdiv will become the Balkan Las Vegas?